All top quality NiMH packs in capacity order. We are happy to customize with any connector, wire type or lengh. Even multiple output connectors (for dual switches or direct charge) if you wish. Don't see what you like? Put your request in the notes section of your order and we'll do our best to please. *Charge current through standard hobby plugs (fit your RX pins) is limited to 4 amps. Charger presumed to be factory wall charger. Peak chargers are poor choice for forming, you'll struggle. Peak charging is only reliable after proper form charging. Form charging when new is a MUST. Repeat form after 30 days or more storage or after any replacement of cells in pack. Most packs will reach the good zone (85% of rating or better) within 3 to 5 cycles. They continue to improve slowly over further cycles. We have seen some cells require 10-15 cycles to hit full stride. You do not have an issue if you formed the pack properly and it's continuing to improve (no mater how slowly) over a number of cycles. Simply keep cycling it. We only want to hear about it if you have formed it properly, have at least 6 cycles of data "recorded on paper" and the results are staying flat or reducing. Your data sheet is required with the pack upon return. All other packs will be returned to you. There is no warranty, return or telephone consultation available if you failed to form charge your pack as described above. Learn from your errors and order a replacement. I've been though this hundreds of times, the proper and reliable methods are established. Anything outside of these proper methods is experimentation at your expense. FDK/Sanyo Eneloop, 800mah NiMH AAA 6.0V, 5 Cell, 2 Over 3 Block Nested Pack ~While supplies last! FDK (formerly Sanyo) Eneloop 6.0V, 800mAh, AAA 5 Cell Flat Pack. Sanyo's new more environmentally friendlier, lower self discharge NiMH battery. Although these are advertised as charged and ready to go right out of the package, we recommend a forming charge period prior to use. The Eneloop NiMH type has lower daily self discharge than typical NiMH cells. These cells have done well in our in house tests and I feel good about offering them for RC usage. Overnight charging suggestion is stock factory wall wart 50mah or less. Although FDK/Sanyo's website shows Cx1 (capacity x 1) fast charge rates with a NiMH rated charger, I'm not prepared to warranty any packs damaged by fast charging or peak charging in any form. If you insist on experimenting with fast charging and damage a pack, call FDK/Sanyo, not Radical RC. FDK/Sanyo Eneloop, 800mah NiMH AAA 2-Cell 2.4V Pack, ~Last pack left! FDK (formerly Sanyo) Eneloop V, 800mAh, AAA Cells, 2- Cell 2.4V Pack with JR plug installed. Sanyo's new more environmentally friendly NiMH battery. Although these are advertised as charged and ready to go right out of the package, we recommend a forming charge period prior to use. The Eneloop NiMH type has lower daily self discharge than typical NiMH cells. These cells have done well in our in house tests and I feel good about offering them for RC usage. Although Sanyo's website shows Cx1 (capacity x 1) fast charge rates with a NiMH rated charger, I'm not prepared to warranty any packs damaged by fast charging or peak charging in any form. If you insist on experimenting with fast charging and damage a pack, call Sanyo, not Radical RC. Last pack left, discontinued by FDK/Sanyo. 2/3 AAA NIMH. 6V Flat pack. This size not available in Sanyo. VERY popular 1/2 A, HLG and Combat pack. LESS weight than 110 NiCad!!!! Weight 36.9g, 1.3 oz. Suggested charge rate non-peak detecting 26mah or less, peak detecting 130-520mah. SORRY, DISCONTINUED, WHILE SUPPLIES LAST! Radical RC 260mah NiMH 5-2/3 AAA Cell 6V 2 over 3 Block Nested Pack ~ LAST ONE LEFT! 2/3 AAA NIMH. 6V 2 over 3 Block Nested pack. This size not available in Sanyo. VERY popular 1/2 A, HLG and Combat pack. LESS weight than 110 NiCad!!!! Weight 36.9g, 1.3 oz. DISCONTINUED, LAST ONE LEFT IN STOCK! Weight 51.5g, 1.82 oz. Sanyo NiMH HR-AAAU 720. Double Barrel (Double Stick) Pack fits in most any 1/2A ship or sailplane with lots more duration! About same weight as 350 Nicad pack. AAA size cells, it's small size is unbelievable! 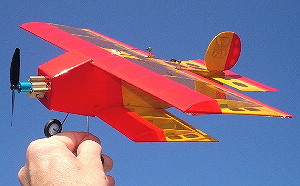 Typical uses are from 1/2A up to 5 standard servos and sailplanes. Weight 51.5g, 1.82 oz. Sanyo NiMH HR-AAAU 720. 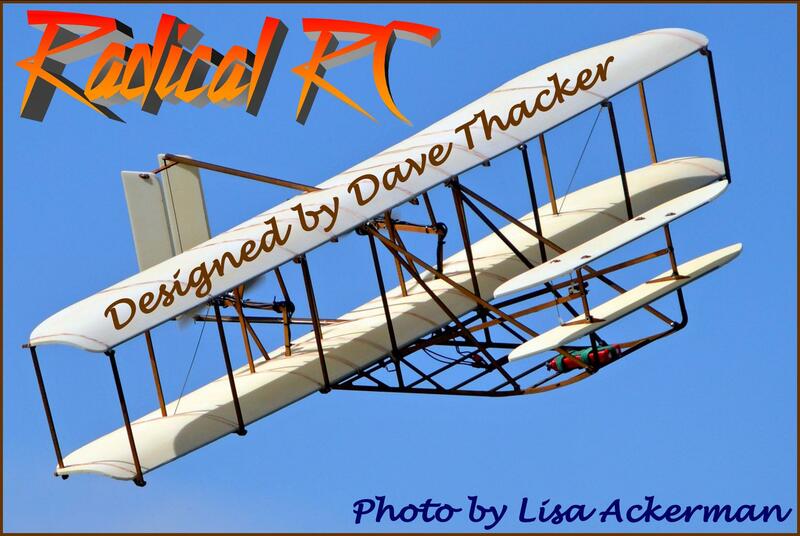 Fits in most any 1/2A ship or sailplane with lots more duration! About same weight as 350 Nicad pack. AAA size cells, it's small size is unbelievable! 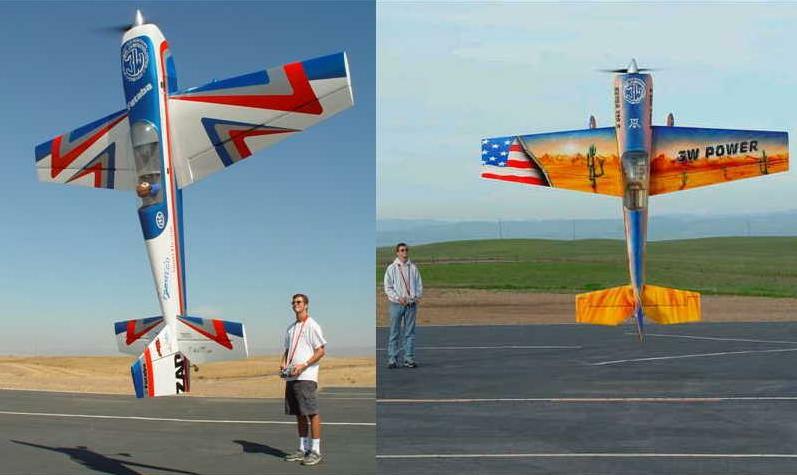 Typical uses are from 1/2A up to 5 standard servos and sailplanes. Weight 67.5g, 2.38 oz. Sanyo NIMH HR-AAAU 720. Fits in most any 1/2 ship or HLG (sq) with a lot more duration! About same weight as 350 NiCad pack. Great for extra zip in your weight critical ships. Excellent Combat and Hoverbat pack. FDK (formerly Sanyo) NiMH HR-AAAU 1000. Fits in most any 1/2 ship or HLG (sq) with a lot more duration! About same weight as 350 NiCad pack. AAA size cells, it's small size is unbelievable! Weight 55.2g, 1.95 oz. Select custom connectors below. Note: Photo shows cell version for retail packaging. Usually cell is in generic green shrink. We build out of what is available at the time. Suggested charge rate non-peak detecting 50 mah or less. We do not recommend fast charging this cell by any method. Updated photo coming, also comes in Dark green FDK/Sanyo cell casing with black shrink. FDK (formerly Sanyo) 6V, 5Cell, AAA 1000 HR4U NIMHflat with shrink and wire. Note: Photo shows cell version for retail packaging. Usually cell is in generic green shrink. We build out of what is available at the time. Suggested charge rate non-peak detecting 50mah or less. We do not recommend fast charging this cell by any method. FDK (formerly Sanyo) 6V, 5Cell, AAA 1000 HR4U NIMH Block 2 over 3 Nested with shrink and wire. NiMH offers some incredible advantages in size and weight. Suggested charge rate non-peak detecting 100mah or less, peak detecting 500-2000mah. High capacity 4.8v flat, RX pack. Weight 99.2g/3.5oz. 22 ga wire. Elite 4 cell "2/3A" size high capacity, high discharge NiMH cells. Suggested charge rate non-peak detecting 150mah or less, peak detecting 700-2800mah. 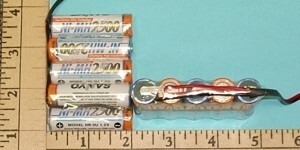 High capacity 6V flat, RX pack. Weight 125g/4.4oz. 22 ga wire. 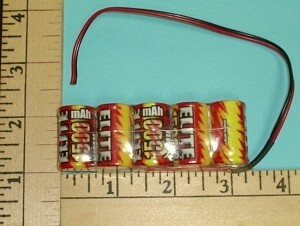 Elite 5 cell "2/3A" size high capacity, high discharge NiMH cells. Weight 112g, 3.95 oz. 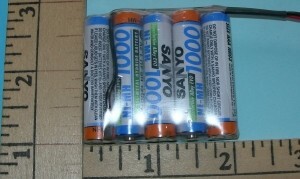 4.8V FDK (formerly Sanyo) HR-AAU 1650mAh. NIMH. Yes, this is standard AA size cell. If your using factory packs, you'll fly all day on this pack! Absolutely an outstanding choice if you are tired of quick charging at the field or have a limited space and need a high capacity pack. Individual Cell Internal Impedance 25.0m? Suggested charge rate non-peak detecting 165mah or less, peak detecting 800-3300mah. Weight 112g, 3.95 oz. 4.8V Sanyo HR-AAU 1650 NIMH. Yes, this is standard AA size cell. If your using factory packs, you'll fly all day on this pack! This pack is square configuration. Like 4 barrel shotgun, 2 over 2 barrels. Yes, this is a standard size AA cell with extreme capacity and an extra cell for more servo zip. FDK (formerly Sanyo) Twicell (formerly Eneloop) 4.8V, 2000mAh, AA 4 Cell Square Pack. FDK's new more environmentally friendly NiMH battery. Although these are advertised as charged and ready to go right out of the package, we recommend a forming charge period prior to use. The Twicell NiMH type has lower daily self discharge than typical NiMH cells. These cells have done well in our in house tests and I feel good about offering them for RC usage. Be aware this cell is a newer product and does not have a deep record in the RC community. However, thus far they seem to be performing well. We offer them for your evaluation. Although FDK's website shows Cx1 (capacity x 1) fast charge rates with a NiMH rated charger, I'm not prepared to warranty any packs damaged by fast charging or peak charging in any form. If you insist on experimenting with fast charging and damage a pack, call FDK, not Radical RC. Weight 130.2g, 4.6oz. Sanyo 4/5 "A" size cell. Great for .60 Heli, 1/4 scale size ships and others with extra or high torque servos. Lots of bang for the size of this pack. Double lead option avialable here. Weight 171g, 6.03oz. Sanyo 4/5 "A" size cell. 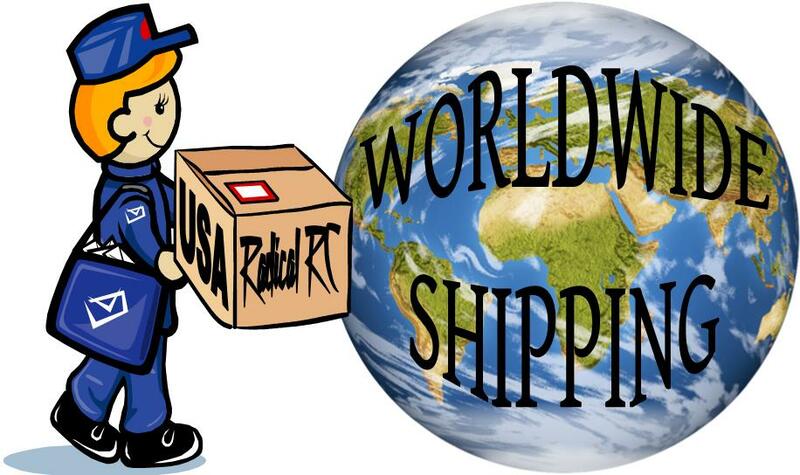 Great for Heli and 1/4 Scale range ships. Will handle your high torque servos with ease. Extra cell for extra servo zip and torque. Double lead option available on this pack. Suggested charge rate non-peak detecting 215mah or less, peak detecting 1075-4000mah. FDK (formerly Sanyo) Twicell AA 2500 NIMH. Same size as 700 and 1100 NiCad pack above. Less weight than 1400 Nicads above. Good cell where fast charging is not a needed but extra capacity is desirable. Weight 155g, 5.5 oz. All AA size cells over 1700mah should not be fast charged ever! If you repeat this experiment, your on your own. I recommend only factory wall wart charging with units rated of 70mah or less for these type cells. FDK (formerly Sanyo) AA 2500 NIMH Square Pack. Same size as 700 and 1100 Nicad pack above. Less weight than 1400/1700 "A" cells above. NIMH offers some incredible advantages in size and weight. Use this pack with 4-6 normal servos. Not to be used in Heli's, large scale or digital servo applications. For the heavier applications choose at least "A" size cells below. Double lead options available. Weight 155g, 5.5 oz. FDK (Sanyo) Twicell AA 2500 NIMH. Same size as 700 and 1100 NiCad pack above. Less weight than 1400 NiCads above. Good cell where fast charging is not a needed but extra capacity is desirable. Weight 194g, 6.875 oz. Slightly longer than 1400 A Nicad, same diameter. 1.15 oz heavier than 1800 sub C with over double the capacity. Do you have a project requiring the ultimate capacity? Here it is! Suggested charge rate non-peak detecting 400mah or less, peak detecting 2000-4000mah. Weight 9.7 oz. FDK (Sanyo) HR-4/3AU 4000 NIMH. Slightly longer than 1400 A Nicad, same diameter. Stump pulling power! 1.875 oz heavier than 1800 sub C with over double the capacity. Do you have a project requiring the ultimate capacity? Here it is! Double lead options available. Very popular for Heli's over 60 size, 40% and up dual packs etc. High capacity 4.8V flat configuration, RX pack. Weight 285g, 10oz. 22 ga wire. Sub C size high capacity, high discharge NiMH cells. Replaces Elite 4700 pack. Elite high discharge pack where light weight and greater than normal capacity is required. Can give you up to 20 amps constant in e-flight applications so you know it won't flinch at any servo load. Internal Impedance 5mΩ or less. Suggested charge rate non-peak detecting 350mah or less, peak detecting .5 to 4 amps. (RX power wired packs are limited to 4 amps charge rate due to connector pins, the pack could sustain 10 amps charge rate with correct wiring and plugs. High capacity 6.0V 5 cell flat, RX pack. Weight 354g/12.5oz. 22 ga wire. 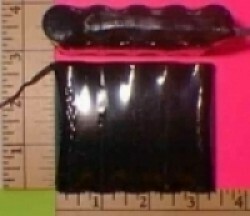 "Sub C" size high capacity, high discharge NiMH cells. Replaces Elite 4700 pack. Elite high discharge pack where light weight and greater than normal capacity is required. Can give you up to 20 amps constant in e-flight applications so you know it won't flinch at any servo load. 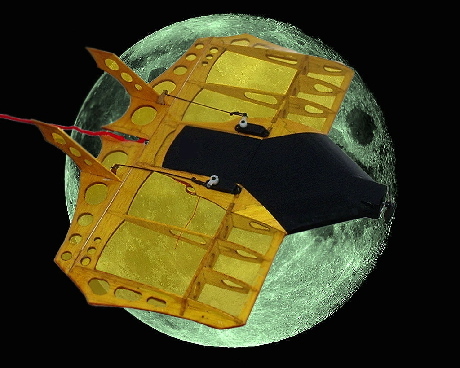 Flat shape. *Already in stock...photo coming soon! Internal Impedance 5mΩ or less. 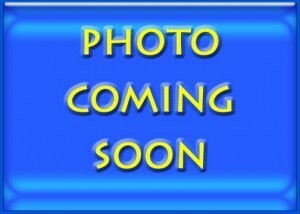 NT16AAAM NiMH Cell ~ Last 2 Cells left in stock! 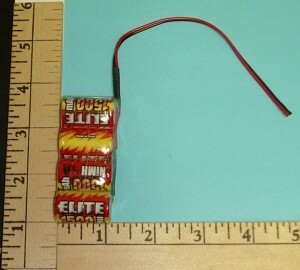 160mAh 2-cell, no shrink, no wire. Last one in stock. No warranty no return. Discontinued by factory.